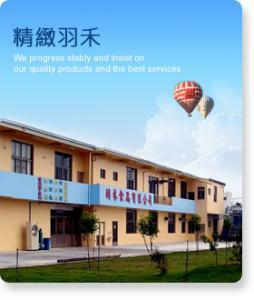 About Yu Ho-Jingstone Precision Measurement co.,Ltd. 1986 Due to the need of the traditional markets, our simple processing factory was set up to supply boiled quail eggs. 1996 An automatic system was devised to stream quail egg, and this system led our colleagues to step into the automated production era. 1997 Yu Ho Company was set up and comminuted with some companies in Japan. We led in the newest technique to product canned quail eggs. In the same year, the Yu Ho preserved quail eggs were developed. 1998 The simple equipments used to steam chicken eggs were set up at our company, and we began to supply boiled chicken eggs to lunch box industries. 1999 Our products won the award of “The best charming commodity in Taiwan”; at the same time, the Yu Ho preserved quail eggs were sold in the USA and Canada. 2002 We successfully devised an automatic system to steam chicken eggs. Next year, We collaborated with one company in Japan to develop the Japanese-style flavored spa eggs. 2006 We expanded our company and rebuilt the factory buildings to increase our quantity of output, and developed an automatic processed system to product spa egg. 2007 Yu Ho Foods Co., Ltd. was set up and our new factory buildings were also completed at the same time. In the same year, the Japanese-style flavored spa eggs become available in the market and got a good commet. 2008 Our products are approved by ISO 22000 (HACCP) Food Safety Management System. In order to provide quality products and services to our customers, we strictly control the full processed procedure.